Chicago is American history in microcosm. Andrew Diamond, the author of Chicago on the Make, has called Chicago “a combination of Manhattan smashed against Detroit.” The disappearance of industrial jobs and the businesses that supported them in the 1960s and 70s jump-started a downward spiral in many neighborhoods. A few miles to the south, Pullman Village is a model for what a company town could aspire to be - in ideals if not in execution. Built between 1880-84, George Pullman created a utopian town for his workers, but he also co-created the false economy of tipping, a way to get away with not paying black workers after slavery was abolished. Many people credit Pullman porters as significant contributors to the development of America's black middle class, but they had to pay for their own food, do unpaid prep work and supply their own uniforms. And they did it all in railroad cars in which they themselves would not have been allowed to travel in during Jim Crow segregation. Most Pullman porters lived in Chicago. 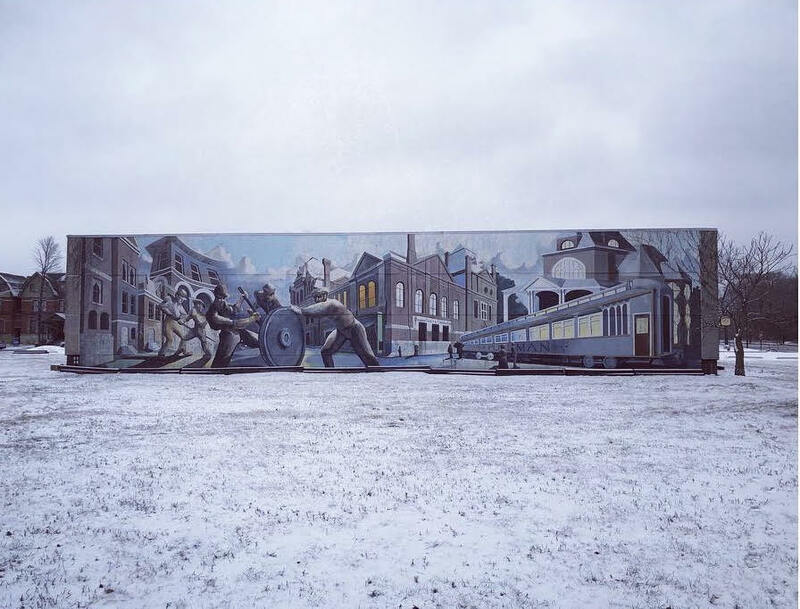 “They took a menial job and made it something of substance and stature,” said Lyn Hughes, founder and president of the National A Philip Randolph/Pullman Porter Museum Gallery. Against all odds, Pullman porters formed a union in 1925: the Brotherhood of Sleeping Car Porters.